We continue our workshop series devoted to wet felting with 3D resist for small spaces. 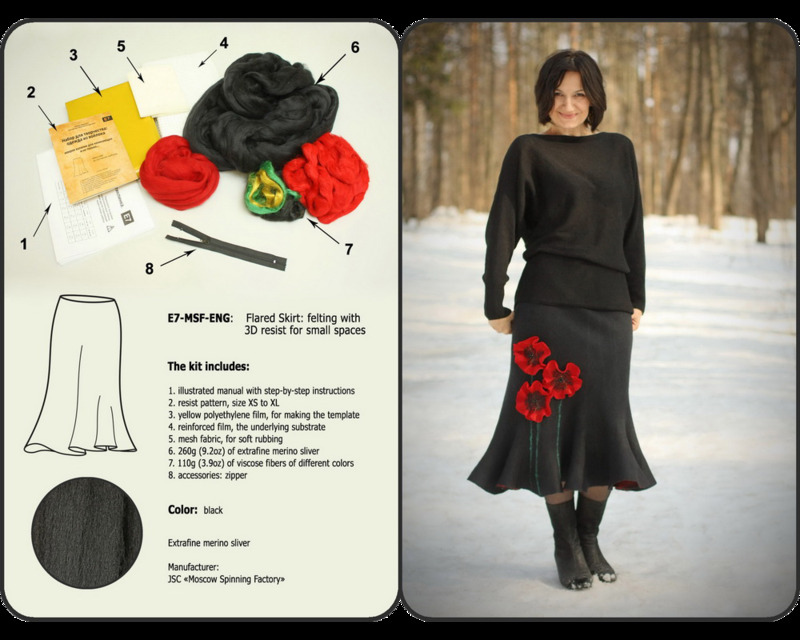 With this kit you will be able to make a flared skirt of about 70 cm in length. This is "all-in-one" kit that contains everything needed to help you make a seamless skirt, except some little things: a water scoop, a towel and soap. We've gathered all the materials: an extra fine Australian merino sliver; viscose fibers and accessories. Suitable for beginner to advanced feltmakers. Manufacturer: JSC "Moscow Spinning Factory"
!!! Please let us know if you want to get more quantity for only $4.5 per 95 gram (3.35oz) in the original manufacturer's packaging (without additional shipping cost). !!! Please contact us for combined shipping discount.